I may have bought my fabric last week, but I've been postponing cutting the fabric because even though I did lots of research and feel somewhat secure about working with lace, I'm still terrified. I've been working on finishing up the bf's Valentine's Day gift (just a little late), securing fabric for the Mad Men Challenge, as well as brainstorming ideas for the Black and White Challenge. But since I made a timeline, I've pushed through and just in time, I'm making my deadline for this week. You can definitely get away with a lot less. Possibly 3-4 yards, but I wanted to be sure, and I've already been fantasizing about making french knickers or some other type of lingerie with the leftover bits. We'll see. 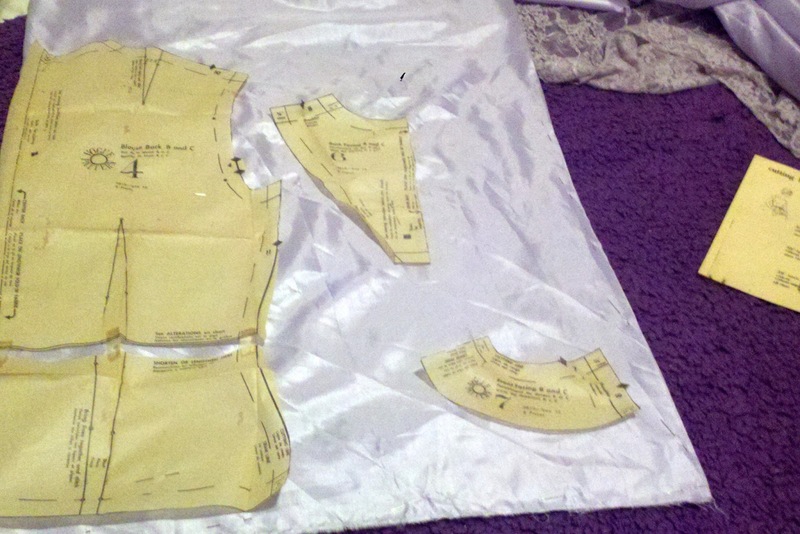 First I traced and cut the lining. I wanted to stick with what I knew before I delved into the lace. For some reason I thought the lace was going to unravel the second I started cutting it. There are a lot of rumors out there that lace doesn't ravel, but I'm sure it's not entirely true and anyway, I'm pretty sure that because of my awful luck I've had recently, mine would fall apart. But it didn't! The lace held. Nothing unraveled.(Yet.) Scissors cut it just fine. It was slightly more of a challenge just because it had a bit of a stretch to it and the lining didn't, but overall it was very easy. To recap: I used the pattern pieces and cut out the lining. Using chalk, I traced the dart lines and any other marking necessary onto the wrong side of the fabric. Then, using the lining pieces rather than the paper pattern pieces, I pinned, traced, and cut out the lace fabric. 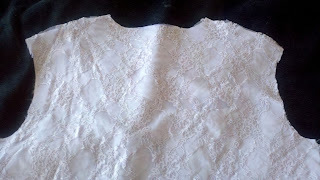 Then I attached the lace to the lining. 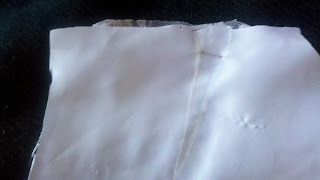 Dart marks clearly visible with lace pinned on the "right" side of the fabric. My next step will be to baste the lining and lace together around the edges. 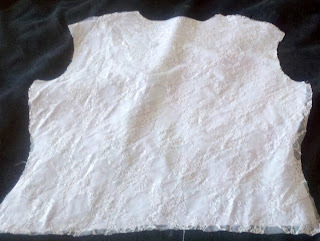 This isn't necessarily meant to hold, but rather to bind the two together so I can use the lace and lining as one piece of fabric as I begin to sew the entirety of the dress. I hope to have a post on that up in the next few days! I love the Pushing Daisies dresses! 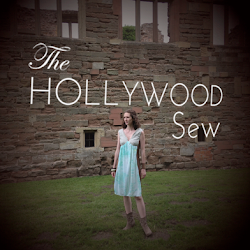 Good luck with your sew along!